Something that we talk about on every workshop we do, is printing. Today, with Facebook, Google+, Instagram and all the other sharing sites, it's so easy to just put our photos up online and show them off - which isn't a bad thing! But to me, there is nothing more satisfying and gratifying that turning a photo into a physical print. Those of you that have known me for years know that I'm nuts about printing! 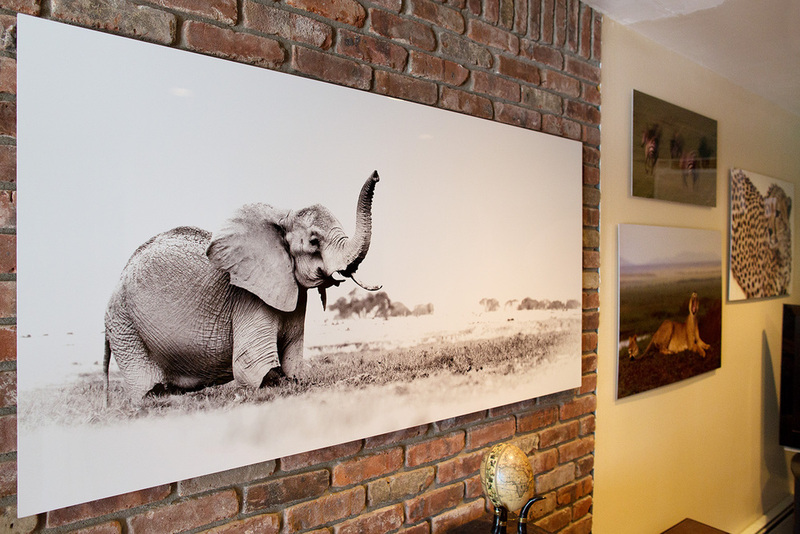 There are tons of options out there to print our photos - and one of my favorites is MetalPrints by Bay Photo. MetalPrints from Bay are gorgeous - your image is actually infused into the surface, not on it, and there's this amazing color, depth and clarity to the images that is almost indescribable. They're available in different finishes: high gloss, satin, sheer, and matte. I really love the high gloss, especially on my landscape and wildlife images. They're available in all the standards sizes you can imagine, but one of the things I like to do is print BIG! 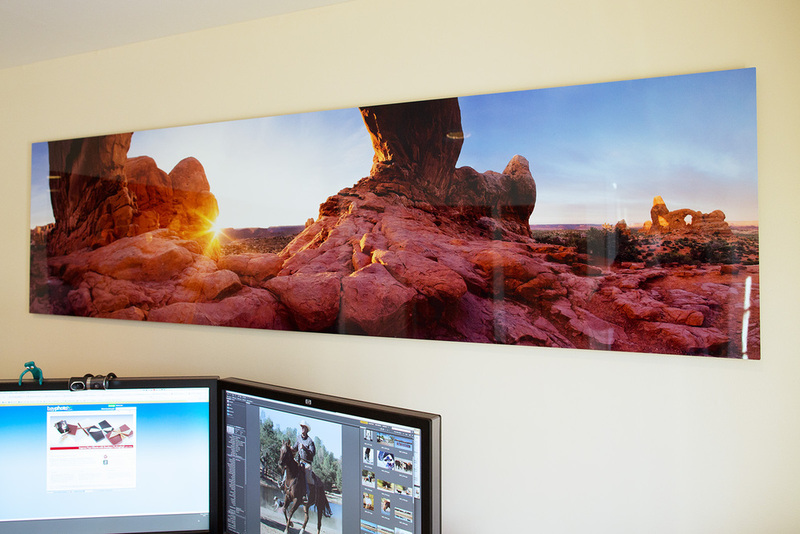 I have some hanging on my walls that are 60" by 40", and one stitched panorama that is 8 feet long. Creative possibilities are endless, I've seen some super finished work with clusters, diptychs, triptychs, and splits. MetalPrints for me are big sellers, too. Clients love them because they're ready-to-hang, they come with mounting board or frame on the back, that you can have inset, or flush-mounted (your choice). Long-lasting? You bet - they will hold their color 2-4 times longer than traditional silver-halide long lasting paper prints. A horse ranch in California is putting them in locations that you'd never dream of putting framed paper prints. Another place where these are big sellers for me is manufacturing environments, where things can get a little rough. These are scratch-resistant and waterproof/weatherproof - cleanup with Windex! Check out Bay Photo's site for more info, you can even order a sample pack.